INTELCaLC is an innovative brand of toothpastes and mouth rinses. Patented REMINA TECHNOLOGY™ is transporting bioactive calcium building in the tooth structure. The toothpastes formulation contains intelligent bioactive calcium ions restoring tooth enamel. Calcium ions are released while you brush your teeth. Intelligent calcium ions built into the damaged structure of tooth enamel supporting the formation of hydroxyapatite – a natural tooth material. Your teeth become stronger and more resistant to dental erosion and carries. 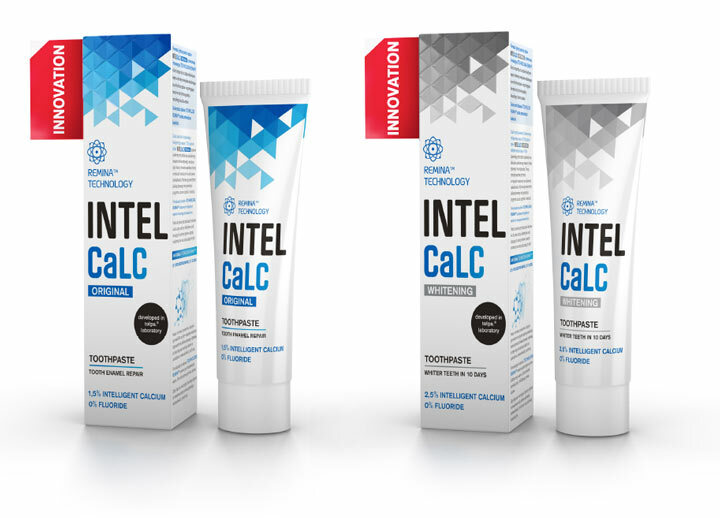 INTELCaLC toothpaste protects your teeth against sensitivity forming a mineral layer.